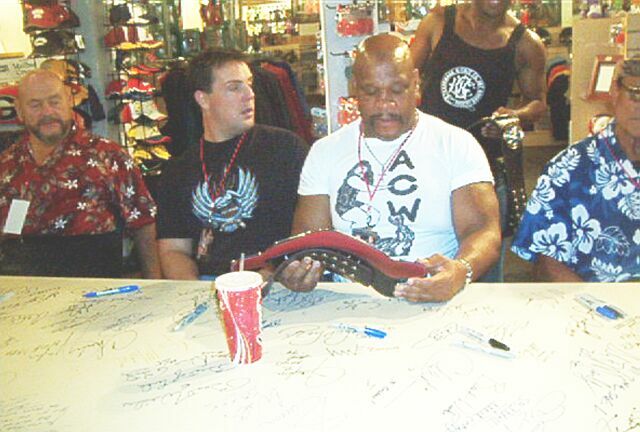 Below are some pictures Mr. Wilson submitted to us of a autograph signing which he brought along his NWA United States and NWA World Television championships. 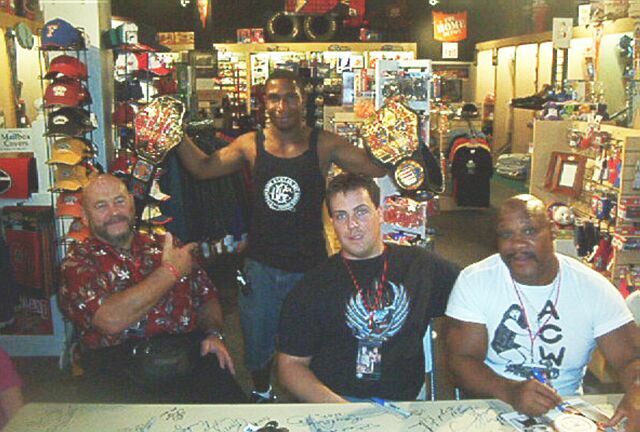 He included this in the email: "I had the opportunity to meet Superfly, Tony Atlas, David Flair and Ivan Koloff all were cool. Flair is 26 and now sells insurance and wrestles on the weekend. Tony has a wrestling school in Maine. 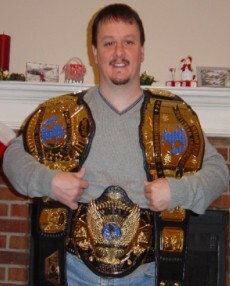 Jimmy still wrestles from time to time and Ivan a born again Christian. 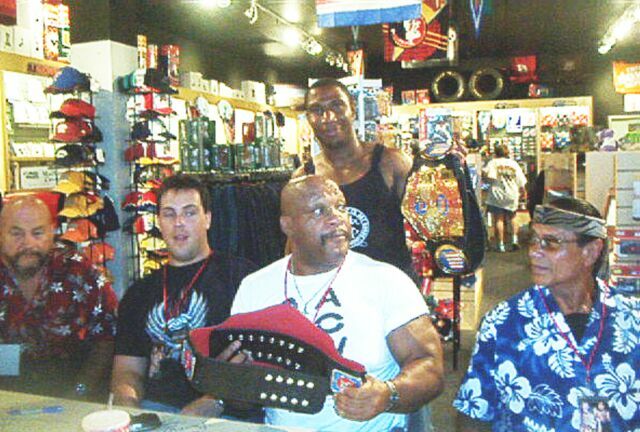 They loved my belts Flair kept asking me where did I get them from and how long did it take".